The beautiful Emma Miller and one of the best dressed women on our TV, is living a very glamorous life. 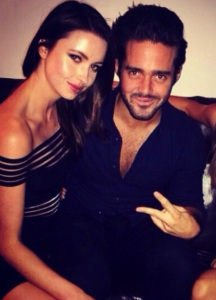 Emma is a model and fashion blogger, who also appears on MIC as yet another one of Spencer Matthew’s love interests. In real life (yes folks MIC, is not actually real life), Emma is a very classy woman. Emma was in Paris last week for Paris Couture Week for the shows, and some very glamorous photos were taken of her. This week globe trotting Emma is on holiday and has instagrammed a photo of herself on a speed boat, she looks like she is filming a scene from a James Bond movie! This entry was posted in Emma Miller on July 15, 2014 by wealthandglamour.